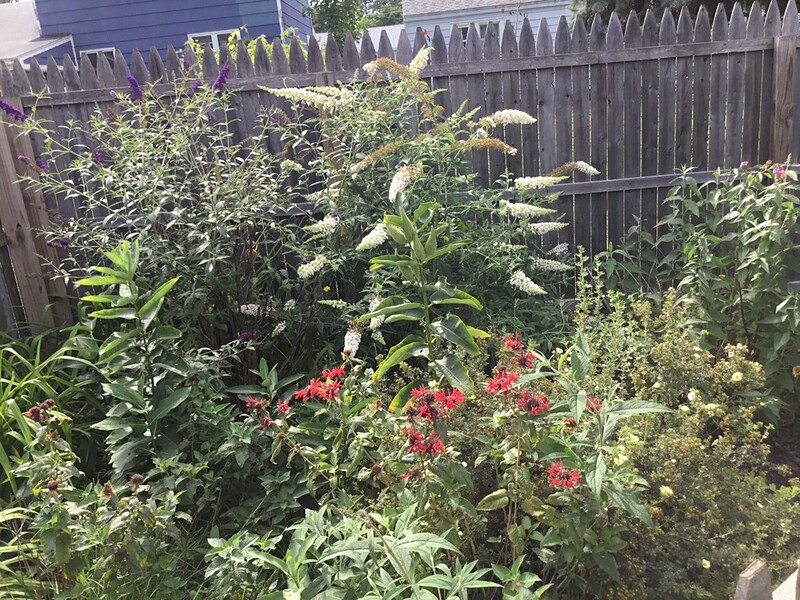 The last of our big three butterfly bushes pushed out its blooms. Behold, to the right, the multi-colored beauty. 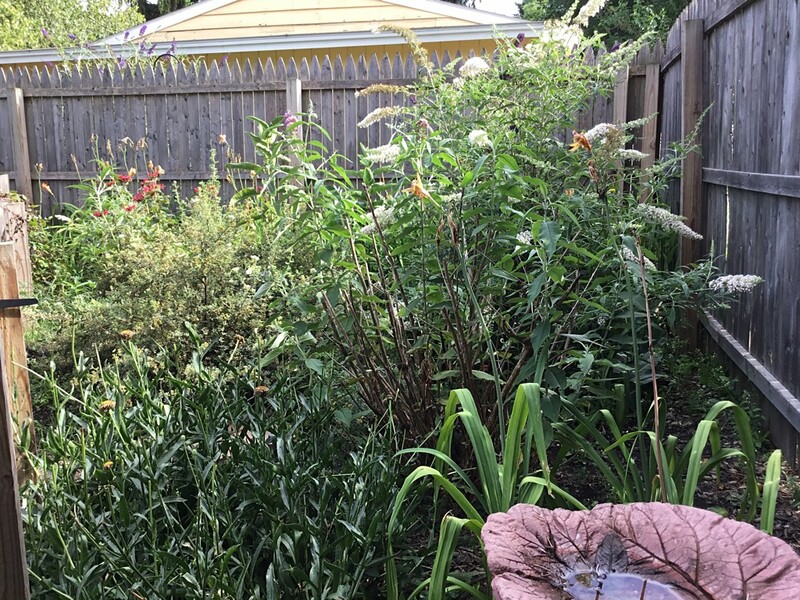 We loved the completed trifecta in the triangle garden in the backyard of the cherished Little Bitty in the Syracuse city neighborhood of Eastwood. Yeah, I love the look back there, for sure. ← Does the world need a pretty good movie about Roberto Duran? Thanks, Cheryl. My dear wife Karen is busting her you-know-what. It brings us plenty of joy, my friend. That is the most important thing Mark!!! Nice.. I have a nice purple one that attracts all kinds of butterflies. In fact I sorely need to go out and dead head the bush after being away for 9 days! They also love purple cone flowers. So purple is a butterfly magnet, we find, AW?! Thanks, Joey. I know your place must be rocking right now. Some of it. The tornado-storm thing got my giant sunflowers.